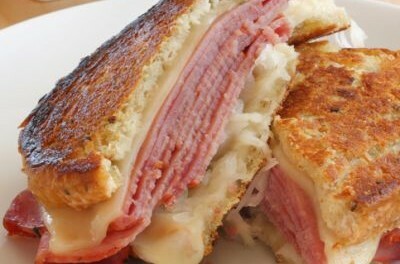 The inspiration (actually the leftovers) of St. Patty’s Day moved Vicky Misha, of Meals with Misha fame, to develop something new on the Reuben scene: a Reuben Panini. 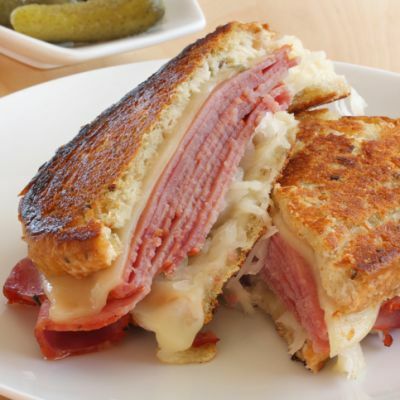 The sandwich is built on a sourdough bread platform, then heated in a panini press, which imparts a crunchiness not found in the original sandwich. It can also be made on the stove with a spatula. Here’s the entire recipe, from the innovative source.